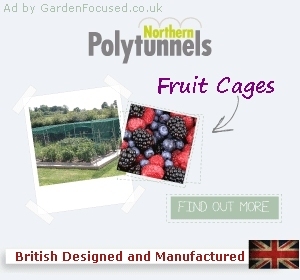 There is no shortage of garden centres in Cheshire and we have reviewed lots of them. It's difficult to pick any particular one as being the best because they vary so much in character. Bents stand out as being a very modern garden centre. Bridgemere stands out as being very large. And Stapeley Water Gardens have now unfortunately ceased trading. We hope you enjoy our reviews of Cheshire garden centres with informed but unbiased views, pictures and videos. All the Cheshire garden centre reviews on this page have either been visited by us personally or have been created as a result of telephoning the owners. This is a unique "real person" created directory of garden centres in Cheshire and is NOT the result of a computerised program. Bents Garden Centre has been awarded the Best Garden Centre award for 2009, 2010 and 2011 so it has all the credentials for a top quality garden centre. The cafe at Bents has also won several awards. However our opinion of this garden centre .... click here for the full article. Our review of the cafe at Bents is here. Bridgemere Garden Centre was first established in 1960 as a smallish rose nursery owned by John and Elizabeth Ravenscroft. Over the years it has increased in size to become the .... click here for the full article including the cafe and food review. 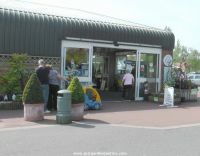 We were impressed with the Gordale Garden Centre when we visited them in mid April. A very pleasantly laid out plants area with lots of attractive plants complimented the indoor sales area .... click here for the full article. Our review of the cafe at Gordale is here. The plants area is very large, very attractively laid out with lots of interest points and no boring straight line paths. The paths themselves are very wide and maintained very well .... click here for the full article. Our review of the cafe at the Grosvenor Garden Centre can be found here. As you exit the main garden centre building you enter the outside area which is at first covered to provide protection for tender plants. The outside area has a a covered main pathway .... click here for the full article. Our review of the cafe at Rivendell Garden Centre can be found here. The plants area is unusual in that almost half of it is under cover. The covered area houses tender plants, pots and other gardening goods including an extensive and well laid out range of water features .... click here for the full article. Our review of the cafe at the Weaver Vale Garden Centre can be found here. Status: Checked online, to be visited soon. Arley Nursery is attached to Arley Hall which is well worth a visit in its own right. The nursery grows the vast majority of their plants in their own grounds, a welcome change from garden centres .... click here for the full article. B & Q in Cheshire. There are lots of B & Q shops in Cheshire and most of them have fairly sizeable garden centre departments. They are well worth a visit if you are looking for the more common plants or other garden accessories. They have particularly good choices of garden furniture, barbecues and lawn mowers. Click here for a list of their branches in the Cheshire area. Telephone: The telephone number supplied no longer works. In addition, the website for this company is no longer present. We assume therefore that they have stopped trading. If you know different then email us by clicking "contact us" near the top left of this page. Homebase in Cheshire. Homebase offer a wide range of garden plants and general gardeners needs at extremely competitive price compared to traditional garden centres. 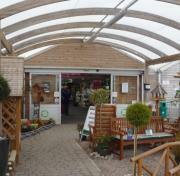 Click here for our index of Homebase branches in Cheshire which have their own garden centres. Macclesfield Garden Centre - now renamed as Fairways Garden Centre at Macclesfield. Wickes in Cheshire. Wickes supply all the "hard" items that a gardener would need. Fencing, paving, stones, stoneware, turf, landscaping materials and more. Click here for our index of Wickes store in Cheshire which sell gardening related items.